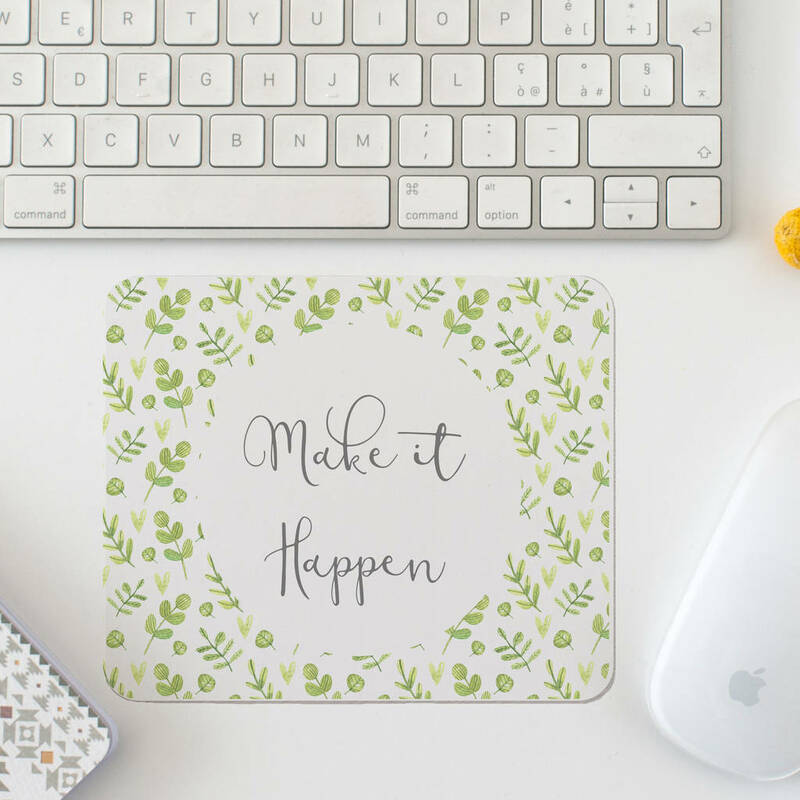 Our personalised leaf print mouse mat make the perfect desk accessory. 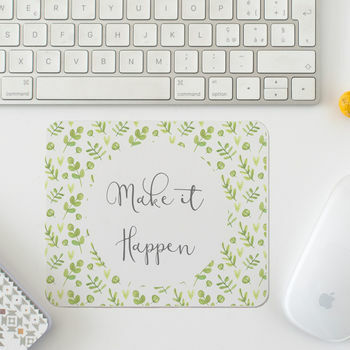 Mousemats are a quick and affordable way to brighten up your desk. Personalise with your first name, initials, surname or a phrase.